Rajinikanth and Akshay Kumar launched the first look poster of Shankar's 2.0 at a grand event in Mumbai on 20 November. The makers confirmed that the film will hit the screens on Diwali 2017. Shankar and the team have promised that the sequel to the 2010 sci-fi flick will be a gamechanging cinematic experience. Rajinikanth revealed that 2.0 is based on a unique subject and said that he was confident that it would do well. "Shankar said that it is a very challenging character but I enjoyed doing action in 2.0 because this is a very unique subject. I am confident that this would redefine the Indian cinema by reaching the Hollywood level in terms of technicality," said Rajinikanth. While the team of the film were the stars of the poster launch event, Bollywood star Salman Khan also attended the event - much to everyone's surprise. 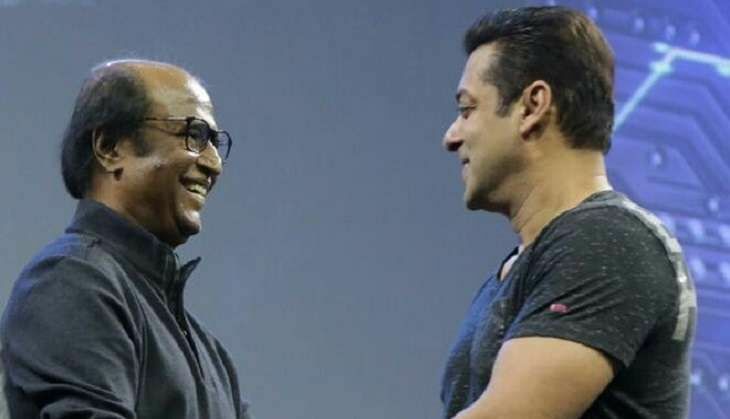 During the event, megastar Rajinikanth revealed that he would love to work with Salman Khan. "I would love to work with Salman Khan. If he says yes, I would start working right from tomorrow," he said. 2.0 also stars Akshay Kumar and Amy Jackson in pivotal roles.